Small young Kowhai leaves growing out from under a larger leaf (Sophora sp.). NZ native. 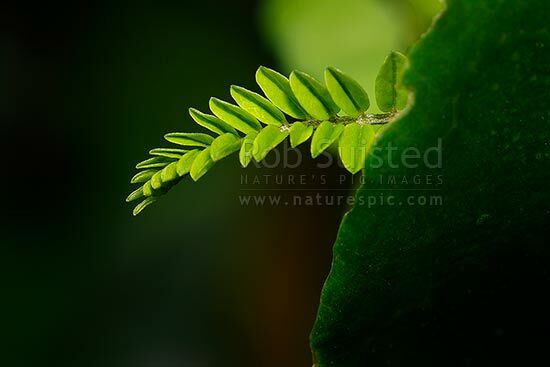 New growth unfurling, Mana Island, New Zealand (NZ), stock photo.